Swedish Metal band Bullet have released a new digital single and video. 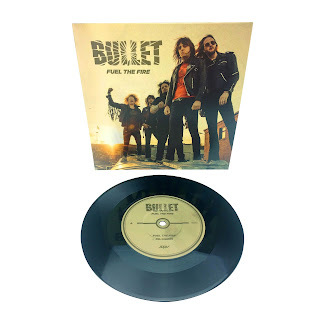 The new song "Fuel The Fire" is taken from the forthcoming studio album "Dust To Gold." The song is also available as a limited 7" vinyl version with a cover version of ANGEL WITCH's "Dr. Phibes" on Side B.